Chuck Wendig has written some fine posts on the art and craft of writing, but his latest is my all-time favorite. What he says makes sense and it's doable. Before I get into that, though, yesterday someone reminded me I should give a warning before I post a link to Chuck Wendig's blog, preferably something in large blinking neon letters saying: Warning! Adult material ahead! So, consider yourself warned. Here's the link to Chuck Wendig's article. Prose fiction is a form of interactive media. Lectures are boring, books shouldn't be. Make your stories interactive. In other words, your readers don't have to know every single last detail about what a protagonist is wearing, they only need to know the telling ones, the ones that show character. And if you can convey the information by your character(s) doing something active, so much the better. Look--here's a table covered with a red cloth. On it is a cage the size of a small fish aquarium. In the cage is a white rabbit with a pink nose and pink-rimmed eyes. In its front paws is a carrot-stub upon which it is contentedly munching. On its back, clearly marked in blue ink, is the numeral 8. [The cage] is described in terms of rough comparison, which is useful only if you and I see the world and measure the things in it with similar eyes. It's easy to become careless when making rough comparisons, but the alternative is a prissy attention to detail that takes all the fun out of writing. What am I going to say, "on the table is a cage three feet, six inches in length, two feet in width, and fourteen inches high"? That's not prose, that's an instruction manual. So, you heard it from the King of Horror as well: Don't get hung up on a "prissy attention to detail that takes all the fun out of writing" and, I would add, reading. Don't overwhelm the reader. They don't need every single detail to receive get a clear picture. Don't just withhold aspects of character, hint at them. Hint at possible cruelty, or a priveledged past, or uncharacteristic depths of generosity. Or pain. Or malevolence. A character with unrevealed secrets or stories interests us: we’re the kids at Christmas morning tearing through a pile of presents hoping to get to the big reveal at the end (a new bike! a BB gun! a Barbie dream home! a Turkish scimitar with which to behead thine enemies!). By withholding information you create mystery. Every question mark is a door that the reader wants desperately to walk through — and will do so almost to the point of compulsion, and compulsion is what we want, the compulsion to pick up the book again and again, the audience hungering to get back to the pages of the tale or to read the next issue or see the next episode. Litter your tale with unexplained mysteries big and small. The question will drive them: what does that strange tattoo on the woman’s back mean? Why did the wife kill the husband? Who is the one-eyed man? Who put the bomp in the bop-she-bop? The audience will continue to tear through pages, hoping to see the hero and the villain have their climactic showdown, hoping to see if the two star-crossed lovers will ever uncross the stars and come together, hoping to see if the sea-king and the mer-girl finally realize that they are father-and-daughter. I'm in the middle of plotting a novel and one thing I keep in mind is that things must keep getting more complicated, more dire, for my protagonist. At the beginning of the story she's presented with a problem, a challenge, and she survives it--kinda, sorta--but her life after that takes a nose dive as the problems keep coming and escalate. When complicating the goals of the protagonist, withholding victory and denying her success or an escape or an answering to her own questions is key — the audience is bound up with the protagonist and they want to see her safe and happy and vanquish darkness and find love and learn the truth. But by continuing to dangle the carrot, we see the protagonist urge forward through the story and we see the audience trailing along with her. This goes both ways. Above, in point 3, we talked about withholding information from your characters, information the reader knows, and how that creates mystery. Withholding information from the characters but then revealing that information to the audience is dramatic irony, and makes the audience feel like they’re “in on the secret,” and further, become eager to know when the damning information they possess will finally catch up to the characters on the page. It’s about build-up. And tension. And hesitation. And uncertainty. And fear. And lust. It’s about a trail of moist little morsels pulling them deeper and deeper into the tangled wood. It’s equal parts baited trap and Stockholm Syndrome. It’s about not giving up what the audience desires most and at the same time making them thank you for the privilege of being denied. At the climax of your book, that's when the veil is torn down and your readers' curiosity is quenched. AT least, mostly. If you're writing a series, you'll want to leave just a bit of the mystery in place. What do you think of Chuck Wendig's tips? 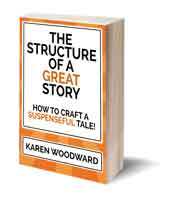 Do you use the secrets of withholding to increase tension and create a riveting story, one a reader can't put down? 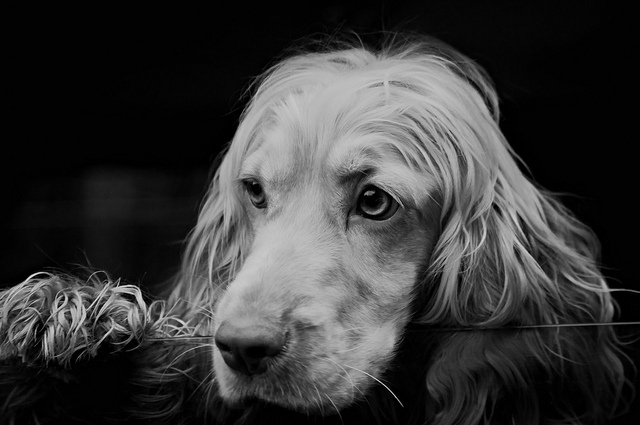 Photo credit: "Amber" by Stewart Black under Creative Commons Attribution 2.0. All great points, particularly about withholding information and creating mystery. I think one of the great pleasures in reading is trying to outguess the writer, or characters, or villain. Trying to imagine, yourself, what will happen next, and then reading on to find out what actually does happen next. If the writer is preoccupied with an exhaustive list in the obvious, it quickly becomes apparent to the reader there are no surprises ahead (or at least none worth guessing). I think, too, that the guessing of a character's true motivation is one of the greatest "carrots" you can dangle in front of the reader. Even in a surprising, whodunnit plot, we want to know WHY a character does what he/she does. "I think one of the great pleasures in reading is trying to outguess the writer, or characters, or villain." Agreed. Although a time or two I had an elaborate theory about what was _really_ going on and was completely wrong. It was a simple reveal, one I'd seen and dismissed just after the midpoint. That book went airborne! "I think, too, that the guessing of a character's true motivation is one of the greatest "carrots" you can dangle in front of the reader." Good point. It's interesting, though. I like writing in the first person and that would be very, very, tricky to pull off. But yes, agreed. I think in the case of first-person narrators, they can always be a little "unreliable" even if they aren't trying to put something over on the reader. Maybe they have unconscious motivations that they don't realize, but the reader can find evidence for? Or maybe they realize something in the end that a perceptive reader already had an inkling of? But you're right, I was thinking more of a third-person narration there. "I think in the case of first-person narrators, they can always be a little "unreliable" even if they aren't trying to put something over on the reader." True. And that can be a lot of fun. :) Oh, so that comment worked! Good, I thought it disappeared. And I like having fun with my first-person narrators like that. Maybe I'm getting suspicious in my old age, but I don't think narrators always know exactly why they need to tell their story, and that can be something to explore, too. True. I guess the bottom line is that a writer can do whatever they like as long as its entertaining! Karen, this is great! Thanks a lot! Thanks Amin! By the way, I enjoyed the comic you posted on G+ about writing and re-writing. So true! Those are really great points. I completely agree. Descriptions become boring after a while. This reminded me a little of what Raymond Carver had to say about witholding information in his stories. He said he did his best to get rid of all 'talk about feelings'. In other words he deliberately avoided telling the reader how she or he was supposed to feel about the characters or how the characters were feeling themselves. As a result the reader is left to fill in the emotions. It's one reason why Carver's stories can feel like such an amazing emotional conjouring trick and ambush you with feelings you didn't expect. "he deliberately avoided telling the reader how she or he was supposed to feel about the characters or how the characters were feeling themselves." Well said. Thanks for mentioning that. I just found this blog on Nick Tacker's site (Live Hacked), and I love your posts! 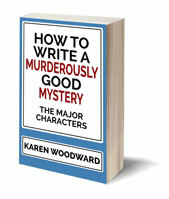 I'm currently writing a crime/thriller and the information here is quite valuable. I particularly like the concept of "witholding." It's so obvious for the crime/thriller, but I hadn't quite grasped it consciously until now. Thank you! Hi Kelly, thank you for your kind words, and for letting me know how you found my blog. Re. withholding I hadn't thought of it in quite that way either. I love Chuck Wendig's posts on writing. This worthwhile information will help me tremendously in my next novel. I liked this blog so much, I tweeted it for others to find. Thanks for posting! Googling: "withheld information reader mystery novel" I found this post. Here is my comment, purely personal and as a reader. I hate it when straightforward information is withheld from me for the transparent purpose of building tension, keeping me guessing and hooked for instance by stopping in the middle of a scene and cutting to another one. I hate it when some withheld information or even worse a deus ex machina is finally pulled out of the hat to explain the conclusion. The biggest masters of mystery do not IMHO resort to this cheap trick at all. e.g. George Simenon, Agatha Christie and Patricia Highsmith among others do not use such tricks, their novels read like straightforward tales without any unnatural withholding told from the protagonists view with the reader having all the information the protagonist has. This kind of mystery is definitely my preference. Hi Nofo, thanks for your comment. And I agree! That kind of mystery is my preference as well; that is, a mystery where the writer plays fair. Agatha Christie, though, is famous for withholding from the reader certain information that the viewpoint character had. For example, in The Murder of Roger Ackroyd the viewpoint character (the tale is told from the first person perspective) is the murderer.